I can’t exactly remember the first time I heard the word “minimalist” but I was intrigued when I found Joshua Becker’s Blog a while ago- Becoming Minimalist. Maybe because being minimalist is a value my mum instilled in us as kids. My siblings and I were brought up to know it as “making do with what you had and differentiating between wants and needs”. It didn’t matter if everyone at school was wearing it or using it, if it wasn’t a need, you were not getting it, period. It was easier in those days, but now it seems the message of having it all is being ingrained in our subconscious and in the minds of our children. People are caught up in measuring each other by what they wear, where they live, the car they drive etc. People are busy acquiring and storing treasures on earth rather than in heaven. I once blogged about this, as it is a topic that gets me thinking from time to time. Ok back to the subject of today’s blog. 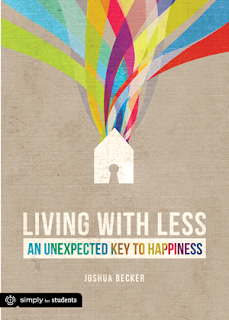 I have just finished reading Joshua’s new book “Living with Less” and I was blown away. It is 62 pages, very easy to read and follow. I could feel Joshua’s passion on this topic as I read. 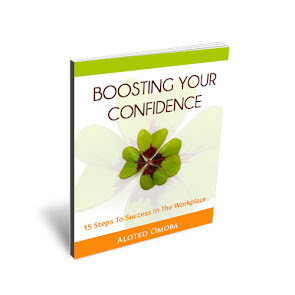 The book is geared towards teenagers and young adults- it is better to catch them young after all. I rediscovered truths I knew before and a few I was confused about became clearer. For example, even though I am not a spender, I am a hoarder (covers face). I keep thinking I will need this or that, so I hardly get rid of stuff. However since following the becoming minimalist blog, I have realised clutter can actually have an effect on my well being. Do this simple test- which room do you feel peaceful in; one that is cluttered and filled with junk or one that is airy with no clutter. Go on, think about it! I have therefore made a commitment to live a clutter free life. Then reading Living with Less confirmed to me that I am on the right path. The decluttering process seems overwhelming I won’t lie but I am taking it one drawer at a time, one room at a time (no pressure!). I am well on my way to becoming clutter free! Woo hoo!!! Also becoming minimalist has helped me stop thinking about myself but to focus on being a blessing to others. My desire is to raise up my children the way my mother brought me up- to be content, to live a life of giving, not to measure success by the things people have or compare their lives with others. Joshua talks about it all in his book. Thank you Joshua for writing this book, a subject that is highly needed in this generation. Anyone who wants to live a life of abundance and purpose MUST read this book. This book will cause a paradigm shift in your thinking. If you are in the States you can get your paperback copy here and kindle version here (you don't need a kindle to download, just download the kindle app on your phone or ipad). The paperback version isn't available in the UK yet but you can get the kindle version here. I encourage you to get your copy now, I am sure it will bless you like it blessed me. I am definitely keeping my copy so Bionic can read it when she is older. I'm a hoarder too and I don't have to think for long to realize that my clutter makes me feel stressed. I always love going to the homes of people who are organized and seem to have a place for everything. I too am decluttering slowly but surely...good luck to you! Since we're all about that minimalist life, can you Ship all your cute shoes and clutches to me for "safe keeping"? 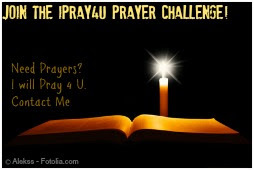 May the Lord bless you as you do so sisteh! Me too! Bills and paper is my biggest clutter! I'm so good at going through all my clothing and giving them away on a regular basis but filing all those papers...phew! towkz- now we have to form that group...operation declutter! hmm, thinks to self "you really need to de-cluter"...honestly though, as much as I know I wont start anytime soon, this is something I really need to look into. I totally agree with your blog. 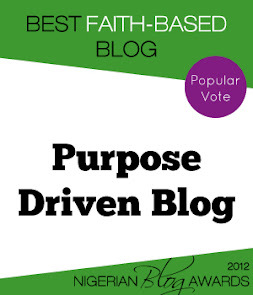 Blog talking regarding purpose driven business. Thanks for blog. Interesting. So, no be only me dey hoard. I would surely like to read this book. Thanks for sharing. I am also currently in the process of decluttering. Atilola, LOL! it appears we are plenty in the hoarding business. We should start a group or something! Nice to see this wonderful blog its really about purpose of living. our community. Your site offered us with valuable information to work on. with imminent post. Thank you a million and please carry on the gratifying work. Hi just wanted to give you a brief heads up and let you know a few of the pictures aren't loading correctly. I'm not sure why but I think its a linking issue. website thus i came to “return the favor”. I'm trying to find things to enhance my site!I suppose its ok to use some of your ideas!! exceedingly stylish and lustrous. Of course, the word ull? means different in order to different people. With soccer hooligans continuing to gain the benefits of their Dr.
could trust. For best results, let dull for 24 periods. http://212.